PM1401K-3 is designed for accurate detection of alpha, beta, gamma and neutron radiation sources as well as for gamma spectra accumulation and precise measurement of gamma dose rate and levels of contaminated surfaces with alpha and beta irradiating sources. PM1401K-3E is a gamma-neutron model of the instrument without functions of Cs-137 activity measurement and radionuclides indetification. PM1401K-3M is a gamma-only model of the instrument without neutron detection function. 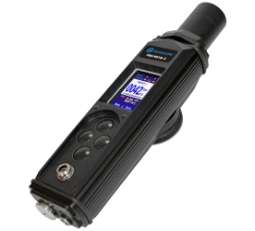 PM1401K-3P modification is equipped with built-in alpha, beta, gamma and neutron (based on three scintillation units) detectors.